← Fresh Green Beans out the Wazoo! Today we ate smoked salmon. All golden and succulent, flavorful and rich with absolutely nothing added and no preparation. I learned about this technique from Michael Davis and Colleen Anderson. We have done it three times, and next time I plan to try it with another type of fish. I don’t know if it would work with meat, but if you slice it very thinly so it doesn’t require too much heat, I bet it would. It is fabulous and once you try it you’ll want to do it again! You’ll need about 1/4 cup of clean, dry wood shavings and an ordinary, uncoated steel wok. (You’re supposed to put a layer of aluminum foil on the bottom, but today I forgot about the foil and it worked perfectly.) 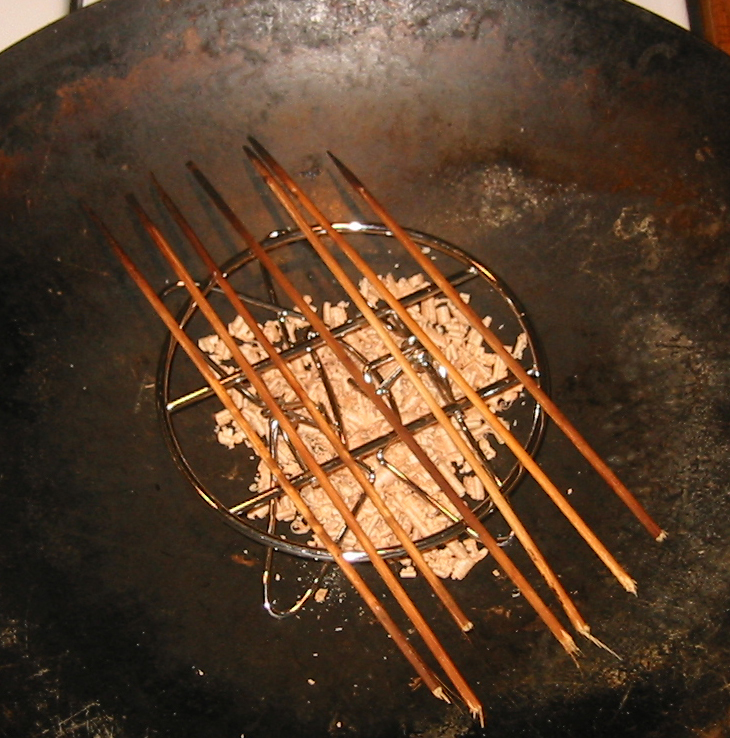 Place the wood shavings in the bottom of the wok. It’s nice to have a small round rack in the wok to keep the fish elevated an inch or so above the shavings. I don’t have a small round rack, so I have always used wooden skewers to support the fish. Today I tried to find a rack and came home with a device for cooking a chicken on a can of beer. After bending it, worked pretty well to support the skewers. I use a section of a fillet with skin on and I even out the thickness by folding or trimming the thinner areas. 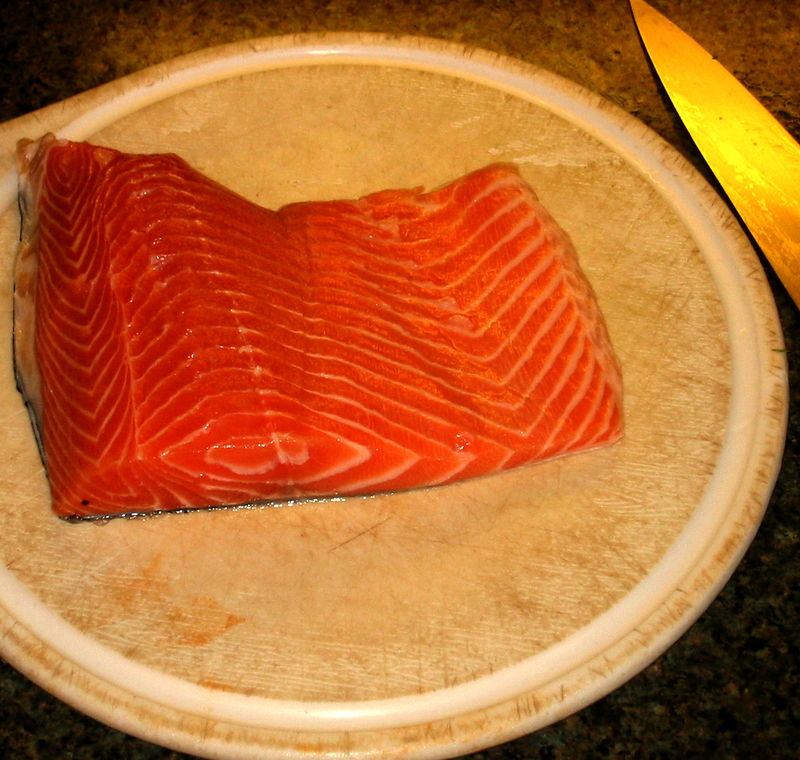 Place the salmon on the skewers or rack, skin side down. Cover the wok, turn the heat to high, and leave it alone for ten minutes. (That’s all it takes!) If you have an exhaust fan, you’ll probably want to use it; but honestly, if the lid fits well, there is very little smoke. 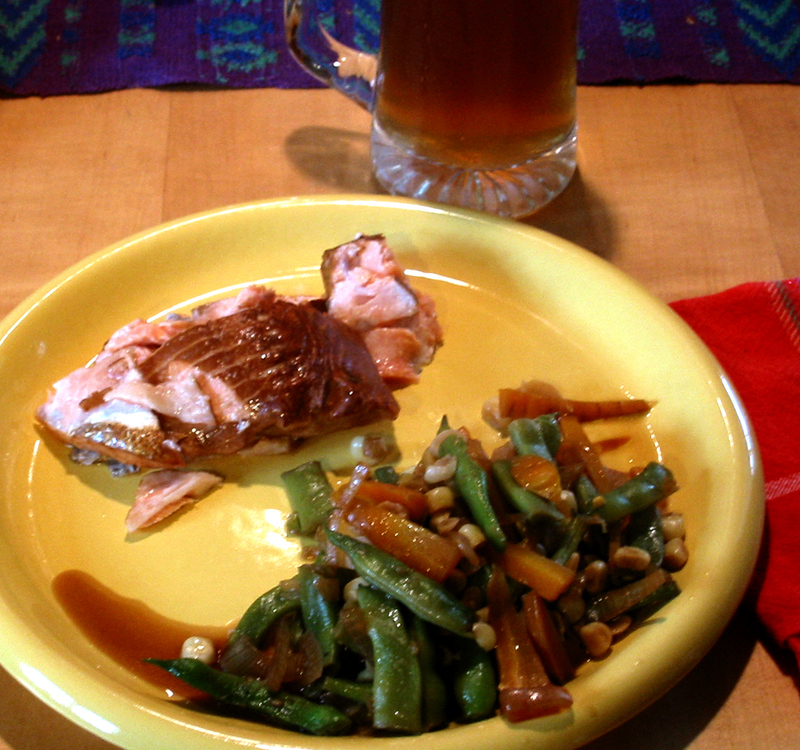 I use a glass lid that came with a 10″ nonstick skillet, so it’s easy to see the fish change color as it cooks. If you don’t have a big glass lid, the wok lid will be fine. I don’t think the cooking time is critical, as long as you get it cooked. Since the fish is not in contact with the bottom of the pan, the heat is quite gentle. The pan will get very brown from the smoke, but it washes right off. The taste is amazing. We add absolutely nothing. This is a favorite, and very special. I hope to hear from some of you who have tried it! Here are the photos. A little less than a pound of fresh salmon. 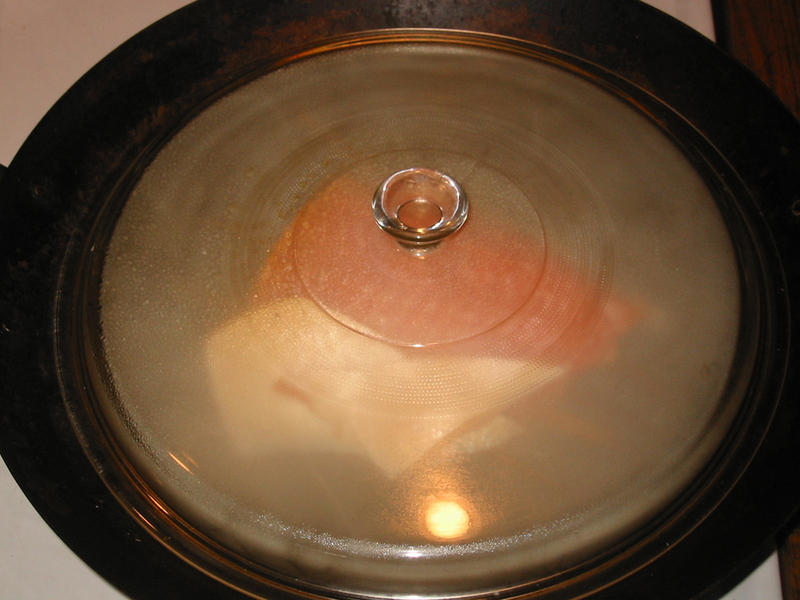 The wood shavings and something to support the fish in place in the bottom of a steel wok. 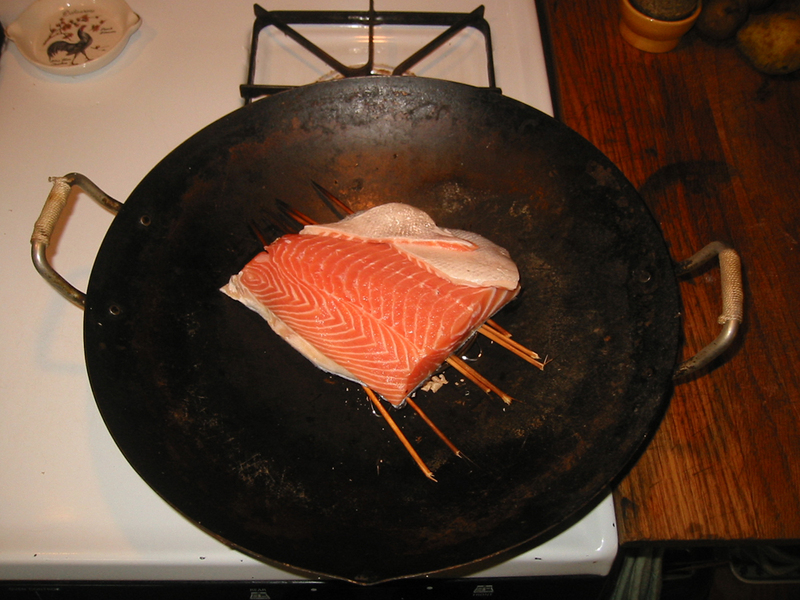 Salmon fillet, skin-side down, on the supporting skewers. About 3 minutes into the cooking. Gorgeous, succulent smoked salmon in 10 minutes! Served with vegetables and bread. It's a really easy dinner. This entry was posted in Entrees, Kitchen Tips, Uncategorized and tagged smoked salmon, stovetop smoking. Bookmark the permalink. 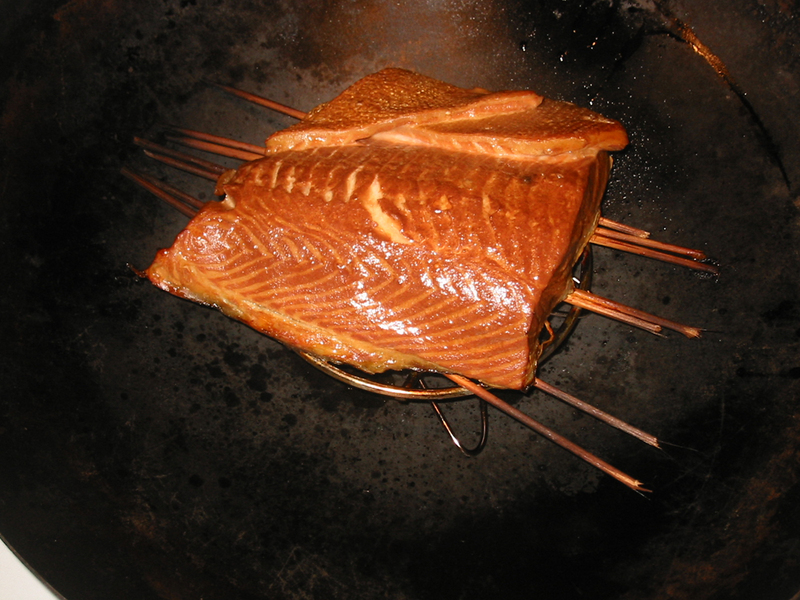 6 Responses to You CAN smoke salmon… right on your stove! Hi, Mimi and Alain. Actually, I learned about this technique from Greg and Verena Sava, who live in Birch River and who make goat cheese (Brier Run Chevre). HI Colleen. Yum…Brier Run Chevre. We love that, too. Have you tried smoking anything besides salmon? very cool. I’m sending it on to my family. 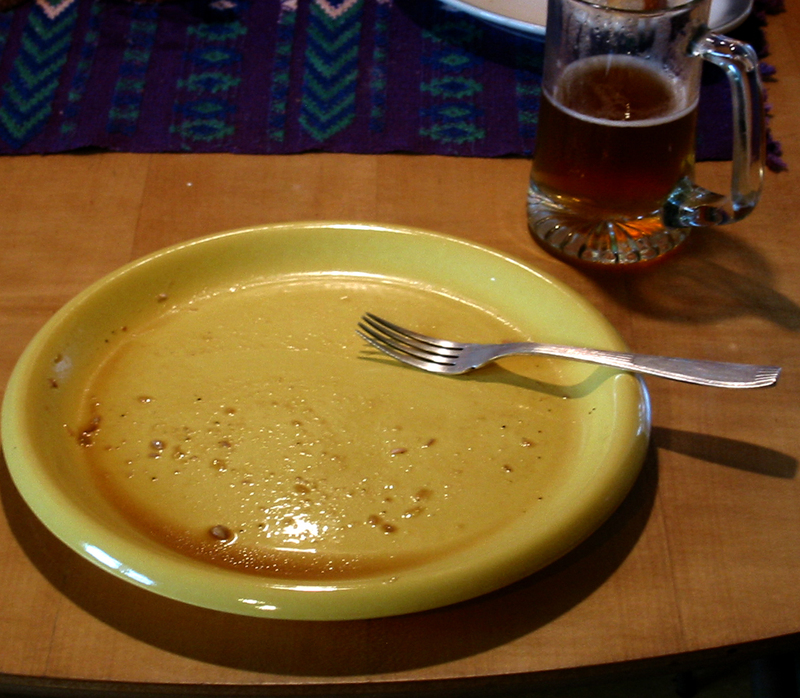 This is one of my favorite dishes! So glad it is being enjoyed by others! Yes, Mimi, I have tried it successfully with tilapia as well. Takes less time. That sounds good. I’d like to try to make some chipotle peppers, too.